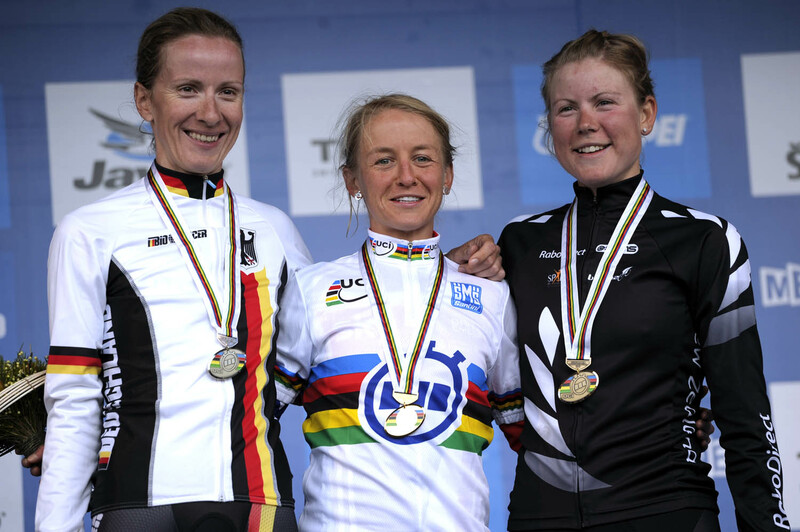 Great Britain’s Emma Pooley won her first international gold medal at the World Championships in Geelong, Australia today. She clocked 32 minutes 48 seconds on the 22.9-kilometre time trial course, enough to hold off the charge of Germany’s Judith Arndt and New Zealand’s Linda Melanie Villumsen. For the first time in cycling’s modern era, all categories at the World Championships are held without two-way radios. A technology that normally helps in the road race, but, as Pooley said, is also an aid in the time trial. The 27-year-old rider from England knocked out one of cycling’s legends, 51-year-old Jeanie Longo of France to take the top spot. Though she had topped her first 30 rivals, she still had to wait for the final seven. 2008 champion, USA’s Amber Neben was unable to touch Pooley’s time and placed a provisional second. 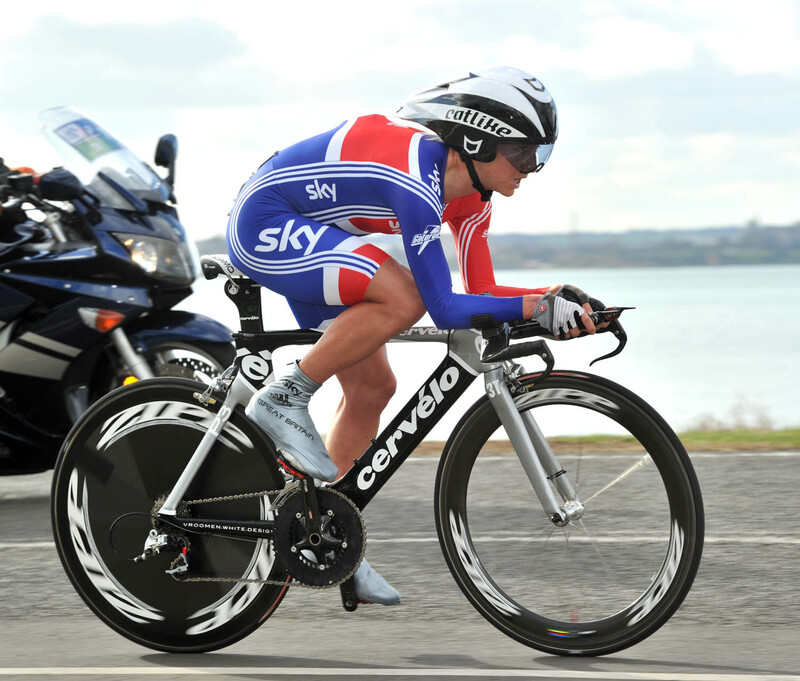 Last year’s silver medallist Villumsen came in quicker than Neben, but could not touch Pooley’s time. Arndt, twice a silver medallist, arrived the closest to Pooley’s time by 15 seconds. Pooley’s win help make up for Great Britain’s disappointment this morning. Favourite Alex Dowsett suffered a setback in the men’s under-23 race when he skidded through a corner and had to change his bike. Her next goal? The road race on Saturday. Judging by her time trial and road race national titles this year, and what has turned out to be a climbers’ course, Pooley has a good chance of doubling in Geelong too.